We want you to look and feel amazing in your eyewear! Our mission is to change the way people think about eyewear by offering unique eyewear that will reflect your personality and style. We offer a large selection of only the finest designer and independent eyewear. Each piece is hand selected by our optical experts to ensure that we offer classic, timeless styles as well as the latest trends. Come experience what personalized eye care is all about and allow our frame stylists help you choose the perfect pair! 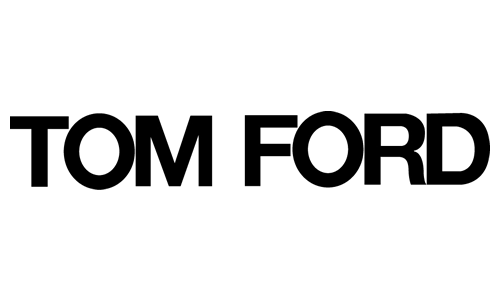 Learn more about the brands we offer below. LINDBERG eyewear tells the world you subscribe to a different way of thinking, and have a connoisseur’s appreciation of exceptional design and high-quality materials. We have done away with everything that is not essential – including all screws, rivets and welds. This means LINDBERG frames are incredibly strong and flexible – yet among the lightest and most comfortable in the world. Lafont – Superb Parisian optical eyewear with over ninety years of experience. Unparalleled expertise with an emphasis on elegance and strong family values, all backed by a name you can depend on – Lafont. Glasses hand made in France, making Parisian chic accessible worldwide. Between traditional style and casual fashion, chic and off-beat with a trendy London feel, the WOOW style will speak to all with a sense of humor. The little message inserted in the end tip of the frame will make you smile first thing in the morning. The eyewear collection embodies the core values of the brand, with fashion forward silhouettes and daring combinations. Classic GUESS shapes are updated with a modern twist using bold colours to provide head turning styles to wear all season long. They are for those in search of easy-to-wear frames with a fashionable attitude at accessible prices, identifying with the brand’s essence: adventurous, daring and self-confident. Timeless style, authenticity and freedom of expression are the values of Ray-Ban, a leader in sun and prescription eyewear for generations. Since the introduction of the iconic Aviator model created for the aviators of the United States Army, Ray-Ban has been at the forefront of cultural change, becoming a symbol of self-expression, worn by celebrities and public figures all around the world. Through innovative products, advertising, and sponsorship of teams and athletes, Nike has become a leader in the sportswear industry and one of the world’s largest brands. Nike Vision eyewear brings the same inspiration and innovation to athletes with product that helps them See Sport Better ™. Product is developed for each category of sport within Nike, which are sport inspired and for the athlete in everyone, from lifestyle sunglasses to ophthalmic frames. Columbia has been creating innovative apparel, footwear, accessories and equipment for outdoor enthusiasts since 1938. Columbia has become a leading global brand by channeling the company’s passion for the outdoors into technologies and performance products that keep people warm, dry, cool and protected year-round. Polaroid Eyewear is a world leader in polarized lens technology and one of the world’s best known and most trusted eyewear brands. Offering a superb range of eyewear collections, Polaroid stands for perfect vision, full protection and wearable design at a great price/performance ratio. 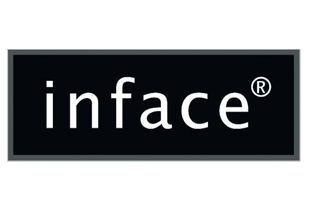 Inface was founded more than 30 years ago, by a Danish optician with a vision of creating affordable eyewear, inspired by the clean lines of Danish design. This is our DNA and this is what Inface is all about. The design team is international in spirit, picking up on latest trends in fashion, colors and shapes. CHARMANT Titanium Perfection embodies the pinnacle of top-quality eyewear. This premium CHARMANT brand features light and comfortable men’s and women’s frames made of the finest titanium materials. 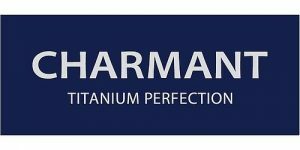 A winning combination of fashionable designs and functional excellence has made Charmant Titanium Perfection the number one brand within the CHARMANT Group.